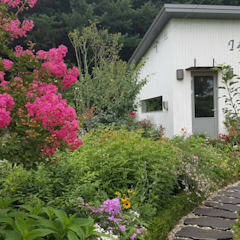 What steps to follow to make a front yard garden? A graceful front yard is almost a prerequisite for every stylish home in Canada. 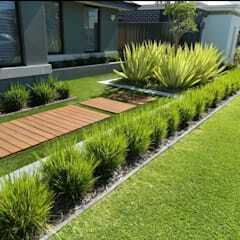 Skilfully designed front yards increase the curb appeal of any house. 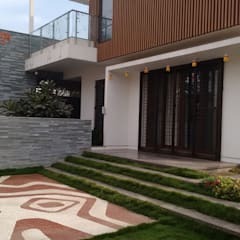 With a little effort you manage to design the most attractive and welcoming home. 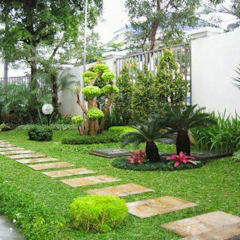 So let’s understand the basic steps of creating such an elegant front yard. - Measure the available space. 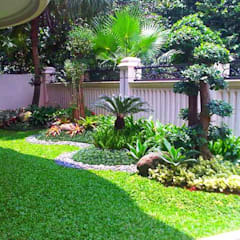 - Plan a landscape design for this space. 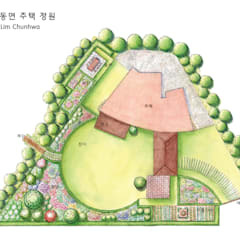 You may seek help from a landscape designer or try doing it all by yourself. 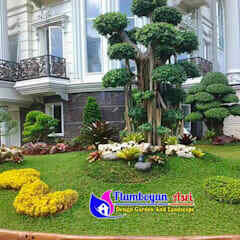 For inspirations you may check out the front yard landscaping ideas on homify. You will find plenty of images for front and backyard gardens in every possible dimension. The same applies for designing a backyard. 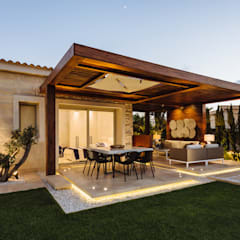 homify’s online portal has plenty of backyard ideas in store for you. - Mark out the walkway and parking space. 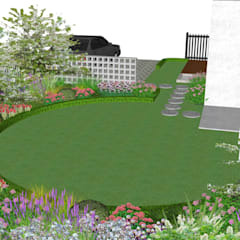 - Border the walkways with shrubs. 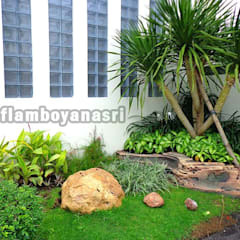 - Plant taller plants away from the house and the smaller bushy ones close to the façade. As tall trees may block the view of your house from outside, they must be kept reserved for the backyard. 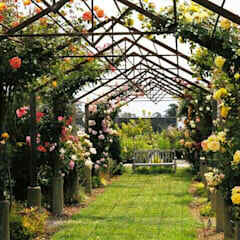 - Buy a combination of perennials and annual herbs and flowers. - Make plans for the drainage system. 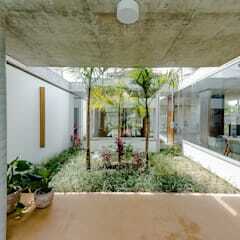 - Arrange for the water supply system. While drag hoses can work well in a small garden, sprinklers will be more useful in more sprawling front yards. - Invest in stylish landscape lighting fixtures. You may install outdoor floor or post lamps to brighten up the driveway. Outdoor flushes are better for illuminating the doorways. Focus lighting can be installed to embellish the front façade. 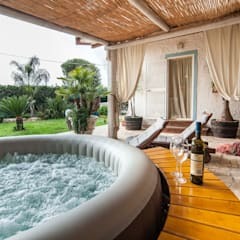 - While searching for landscaping ideas, you may look for special features like arbours, orangeries and gazebos and include them in your front garden. 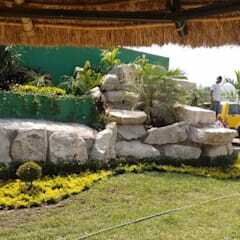 - Introduce a fountain, garden pond or any other type of water feature. - When availability of space is not a concern, you may make seating arrangements on your front garden too. Front garden design costs about $6 CAD to $10 CAD per square foot in Canada. 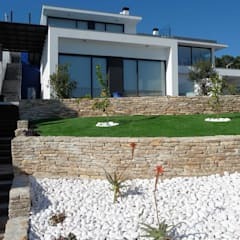 It includes the prices for cleaning up the existing garden, landscape designing, buying plants, building the irrigation system and fees for the professionals involved in the project. What are the different plant types to use in the front yard? - Hydrangea is especially coveted for its blooms. Due to their height, they should be set slightly further away from your front façade. 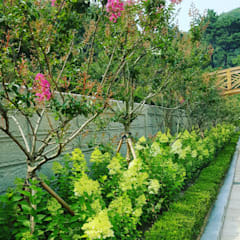 - Azaleas, on the other hand, can be planted by the walkway and close to the house. They are sun loving plants so should be chosen for a spot that receives ample sunlight. 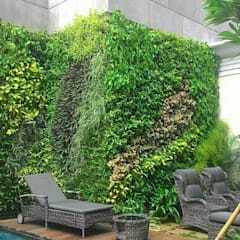 -Buxus microphylla or boxwood is used for creating the hedges. Despite their exotic origin, they thrive in Canadian climate. - Nepeta is a very hardy plant and does not require much watering. - Plantain lily loves shaded areas. You may plant them close to the façade or porch. 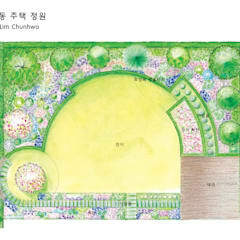 How to create a harmonious look between the parking space and garden? 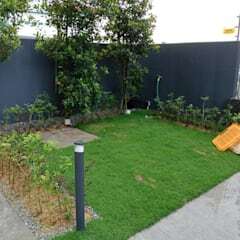 Many homeowners struggle to design a harmonious looking parking space and garden. 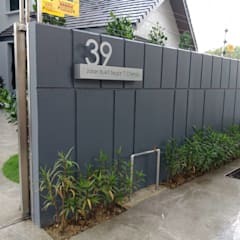 While looking for front garden ideas, check out the various ingenuous ways homeowners have addressed this concern. The following tips will also help you overcome this problem. 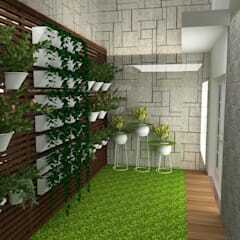 - Consider your parking space as an extension to your garden. 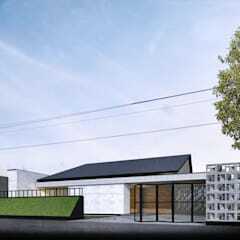 - Don’t erect any wall between the two spaces. If you must create demarcations, use holly or boxwood hedges to do so. - Keep the walkway and driveway stylistically similar to each other. You may use the same materials like stones to do so. - Install separate doorways. But once again opt for similar designs. You may install wood, steel or wrought iron doorways on your front yard. - Keep the garden properly illuminated. 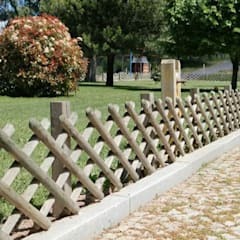 It will create a cheerful look and help you maintain the security of the premises. What are some of the different types of walkways for the front garden? Designing a stylish walkway is important for maintaining the beauty of your front garden. 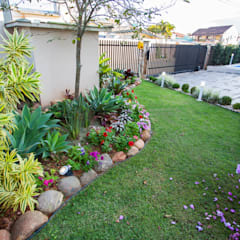 While looking for garden ideas don’t forget about this aspect of your front yard. 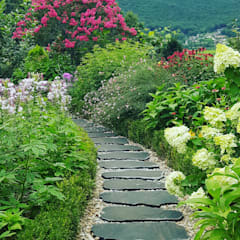 You may choose one of the following walkway designs for your front garden. - Dry laid cobblestone walkways look gorgeous in a rustic front garden. You may also use bricks instead of cobblestones. - Wooden walkways look exceptionally beautiful and would give your front yard a Zen garden like feel. - Using mulch is another option. Mulch walkways are organic and looks charming when maintained properly. 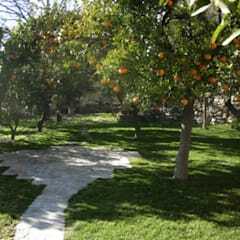 - You may use a combination of concrete tiles and pebbles to designs a stylish walkway. - Bamboo walkways could be another sustainable option for you. This would give your front yard a novel look. How to make the most of a small front yard? - Regularly trim the grass on the lawn. You may choose between the dark tone of meadow grass and light hue of Scutch grass. - Don’t make the walkway broader than necessary. - Line up the walkway with holly or boxwood. You may choose flowering plants like pansies and salvias as well. - When designing an elaborate water feature is not possible, install a birdbath. 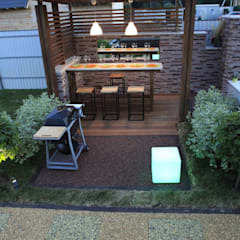 - Use spot and flood lights to brighten up the small space. In ground lighting, strategically installed near the bushes, would work out very well. - Decorate the porch with potted palm trees like Bismarckia nobilis and bamboo palm. You may also use hanging begonias, lavenders and petunias for this purpose.